Choose a Song Partner was a charming music program with actress/host, Beryl Vaughn, Vitacoustic singer, Don Moreland, and organist, Adele Scott. The 15-minute show featured Vaughn providing clues to Don Moreland about the next song. 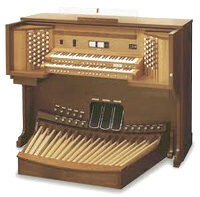 He sang as Scott accompanies on organ as well as providing background music during the banter between Vaughn and Moreland. From our modern perspective, the songs on the show are classics and some were considered classics when the show was on the air. Songs included oldies but goodies like Bicycle Built for Two, Stormy Weather. Stairway to the Stars and so much more. 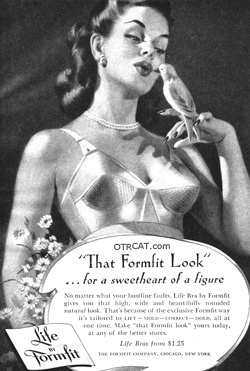 The show was sponsored by the Formfit Company, a women's undergarment manufacturer. About half way through the show, there was often a commercial for a girdle or some other women's undergarment. Produced by the Eugenia Price organization, the show started in 1948, appearing weekly on 150 radio stations. See also: Andrews Sisters, Best of All, Les Paul and Mary Ford, Moon River, The Big Show, California Melodies, Call for Music, Kay Kyser, and Melody Ranch. Be the first to comment on "Choose a Song Partner"